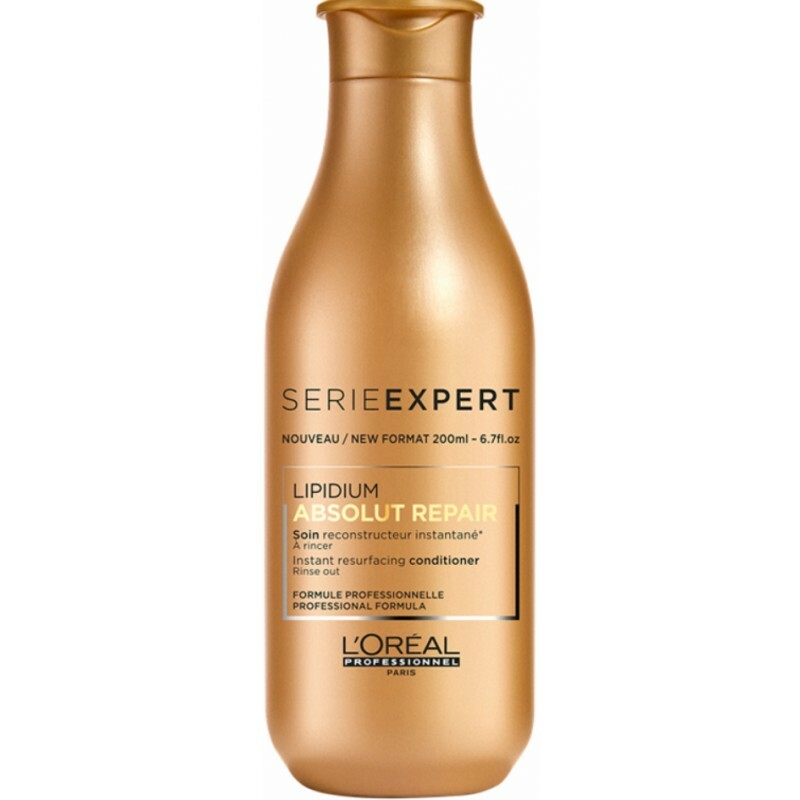 L’Oreal Professionnel New Absolut Repair Lipidium Shampoo 300ml is a damaged hair lipid repairing shampoo that repairs and strengthens capillary fiber. Damaged and weak hair is turned from the inside. L’Oreal Professionnel New Absolut Repair Lipidium Shampoo 300ml acts directly on the hair structure, revitalizing it with amazing effects. The most important active ingredient contained in the innovative formula of L’Oreal is lactic acid, which acts effectively on ionic joints, thus enhancing strength and cohesion to hair fibers. Wet your hair with warm water. Apply a small amount of shampoo and massage gently, from base to tip, without neglecting the surface of the scalp. Leave the shampoo for two or three minutes and then rinse. Buy Serie Expert Absolut Repair Shampoo 300ml on-line today at Riah Hair.